With another possible snow storm coming the Gerrittsen Beach Fire Department is urging everyone to clear fire hydrants on your block and to keep them clear as much as possible during the storm. Dear residents of gerritsen beach both near and far. GerritsenBeach.net would like to wish you a Happy New Year! We had an interesting year to say the least. We’ve already seen some around and we’re not sure if they’ve been up all year or just since early November. We’re talking about Christmas lights and we want to feature photos of decorated homes and holiday yard displays around Gerritsen Beach. Longtime resident and community activist, Joseph D. Leone, suffered a massive heart attack and after two days of hospitalization, he succumbed in the presence of his loving and loyal family, on September 28th 2010. These are the comments and eulogy the family would like to to share with the community that showed “Papa” Leone love. Good Bye Papa Lee – Written by Joe Leone, Jr.
On September 28, 2010 my dad Joe Leone passed away. Six years ago I was a Vice President and Tax Manager for the Bank of New York. I left a full time job because I knew my father was aging and needed my help with his business, of which I had helped him with since I was 14 years old, over 40 years now. Despite the financial hardship it would cause her and I, fortunately, my beautiful wife Cindy was loving enough to understand what I needed to do. It was the best decision of my life because I was able to work with and spend the last six years of my life with him. Previous to that, when I was working at the Bank, I rarely saw him once a month and also on Holidays. In His Loving Memory, I vow to continue his Tax and Accounting business for this community. My new associate will be handling the insurance and annuity part. For those of you that didn’t make the Funeral Mass, the Eulogy which was done by nephew Josh is below. Gerritsen Beach: What Will You Do About It? The question begs: “What Will You Do About it now?”. Here is our short list. It has come to our attention that commenters who choose to comment with their real-names on the website are being targeted by local leadership for making comments. It was brought to GerritsenBeach.net’s attention this past weekend that the Vollies received a letter from GerritsenBeach.net requesting meeting minutes from 2005-present. GerritsenBeach.net did not send the letter and has declined “our own” request. Longtime resident and community activist, Joseph D. Leone, suffered a massive heart attack and after two days of hospitalization, he succumbed in the presence of his loving and loyal family, on September 28th. We found a Female Siberian Husky up at the fields. She’s small, I think young (about 9 months if I had to guess). Blue eyes but right eye has a brown patch in it. We will take care of her until owner is found. We have been trying to get more information on White Island (Mau Mau) to let our readers know EXACTLY what is going on and we are being ignored by GBCares, who held all of the meetings regarding White Island over the past year or two. After multiple phone calls, emails, face to face requests, a snail mailed request, and a public plea – we have been ignored. Some might think that because the newsletter is so good and filled with so much relevant and factual information, these people are using it to learn and inform others. But this is just not true. These people have something to hide, so they don’t want the general public to know the truth so that they can decide what their concerns or opinions might be. That quote came from a GBCares Newsletter in 1998 referencing the war they had with the Property Owners. What happens when you substitute newsletter with website in that quote? We cannot help but notice the massive amounts of irony after reading their article (below) and we know some will ask us “Why even release this?”. Let’s quote GBCares since they said it best, in that 1998 Newsletter. If you don’t know the truth, you can’t make an informed or educated decision, or even have an intelligent opinion on the issues that affect us all. This has to change and is changing, thanks to the many different people who are fighting the uphill battle to properly express the views of the entire community. Well Said! We will warn you, you will have to strap in and READ. It should take all of 2 minutes. Continue reading Censorship. Sound Familiar? 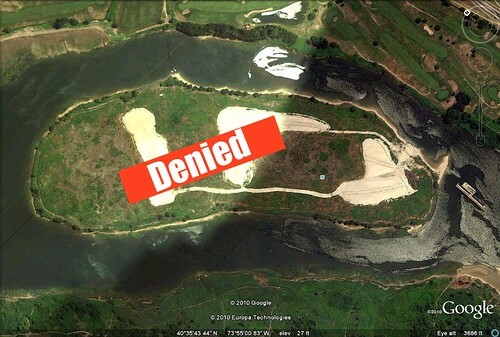 GerritsenBeach.net is again issuing an apology to our readers who were expecting to get an update on what is currently going on a with White Island.